Plot: Join your hosts, SpongeBob SquarePants and Patrick Star as they take kids through an amazing new gameplay experience. The Eye Toy allows players to literally be put inside the videogame, where they must use their own body movements to control the action in 13 different minigames. 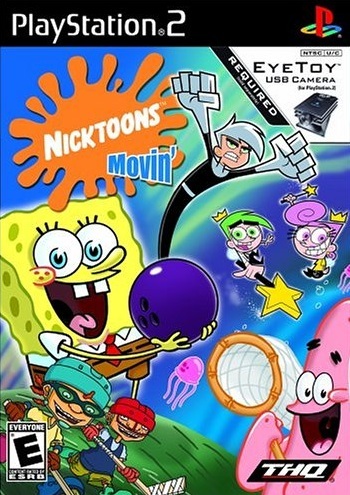 All the mini-games are based on popular Nickelodeon TV shows including SpongeBob SquarePants, Fairly Odd Parents, Jimmy Neutron, Rocket Power and Danny Phantom, along with special cameo appearances from other Nicktoons.